Gravestones jut from the overgrowth of the abandoned cemetery. Just a few paces into the woods behind the Old Dutch Church, the air grows thick with mosquitoes—that’s because the ground is full of damp, dark places where the bloodsuckers lurk and breed. 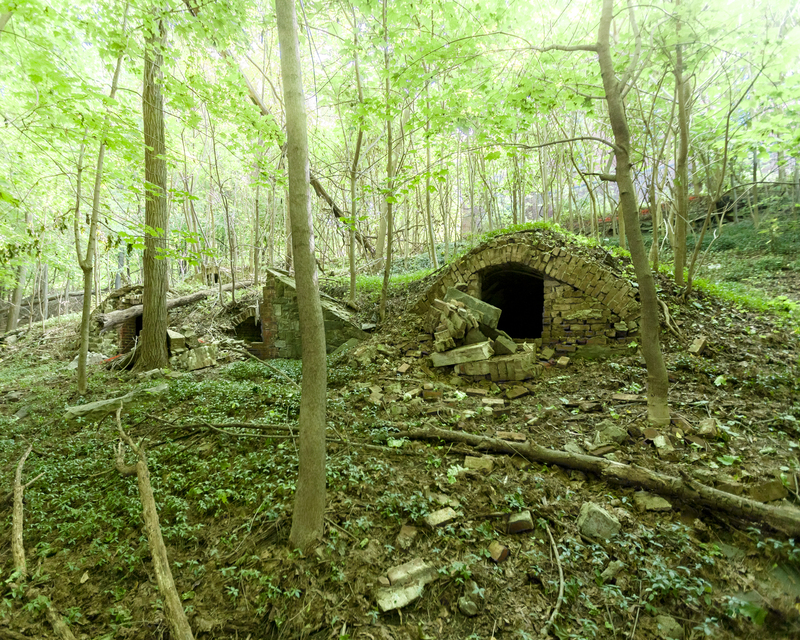 To your left, bricks crumble from a row of gaping hillside mausoleums, and jagged headstones stretch as far as the eye can see through the thick overgrowth beyond. 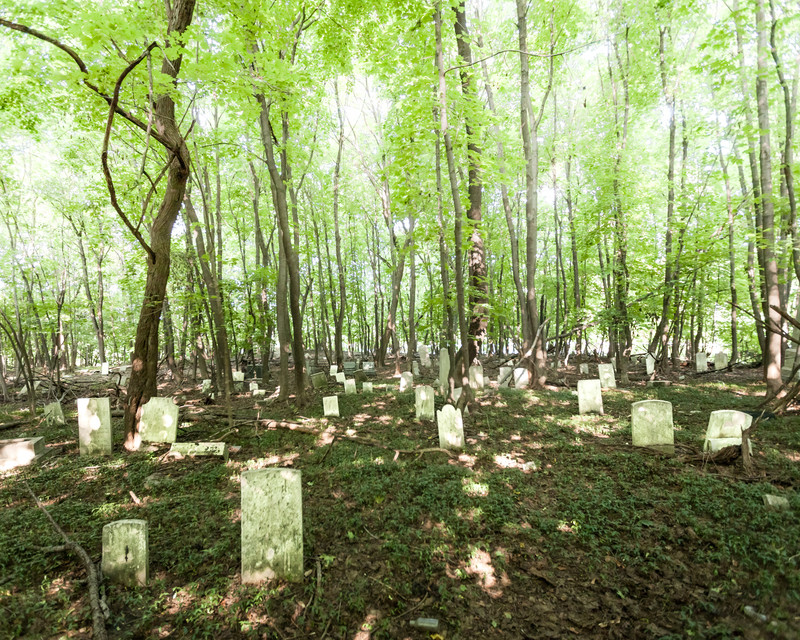 Though it stands just a few yards from the organization charged with its care, the Old Dutch Cemetery has been kept out of sight and completely abandoned for decades, which means this place doesn’t get many visitors, and these mosquitoes aim to eat you alive. A row of mausoleums built into a hillside at the Old Dutch Cemetery. I don’t know all the particulars, but it’s difficult to understand how a church that has been in constant operation since the early 19th century could allow its historic graveyard to end up in such disrepair. In some cases, other parties have stepped in to take responsibility. Near the entrance to the church, an engraved monument lists the achievements of one of America’s founding fathers, whose remains were removed from the cemetery and relocated to his home city of Augusta, Georgia in 1973. Though the plaque makes no mention of it, the move probably had something to do with the poor condition of his family vault, which was built into the hillside directly behind the church along with several others. The most intricate had room for three family members. 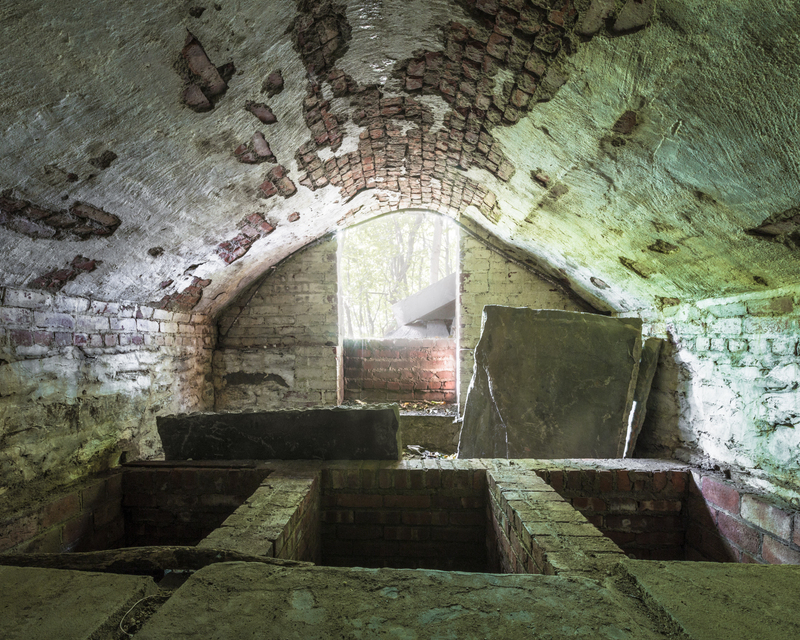 All of the original residents of these burial chambers were reinterred elsewhere when the discovery of exposed human remains caused a public outcry many years ago. Today, the structures are empty, falling apart, and completely open to the elements and curious passersby. Though they appear to be very crudely built, they were more respectable in the first half of the 19th century, finished with slabs of engraved limestone that are currently piled up in pieces just outside the tombs. You can still make out a few fragments of the family names. 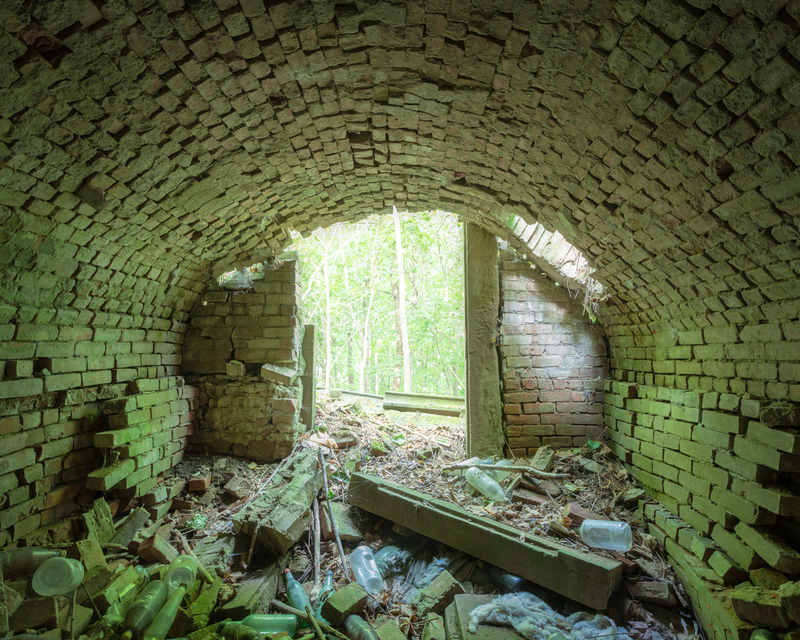 In the vaults, the number of mosquitoes reaches a level of absurdity you’d never thought possible. Inside the largest of them, a strange collection of trinkets comes into view as your eyes grow accustomed to the gloom—tiki men, Christmas stars, and Care Bears peer out from nooks and crannies in the walls and ceiling. Regarding their origin, my best guess is that the objects were left by visitors in atonement for disturbing the grave, or simply as a way of thanking the dead for playing host to an illicit night of partying. Sure enough, the ground is covered with malt liquor bottles; apparently there are more than a few residents of this sleepy town who consider getting drunk in an empty tomb a perfectly reasonable way to spend a Saturday night. 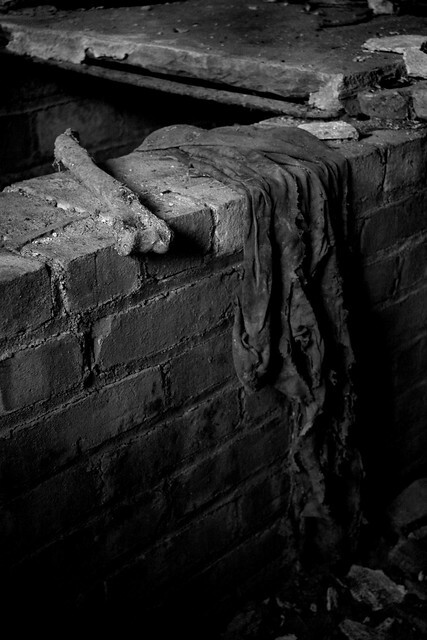 If you look carefully past all the modern refuse, a couple of eerie artifacts are scattered about, including a nearly intact 19th century casket handle and a segment of a second handle in a slightly different style. As tempted as I was to take these home, I figured that might be a good way to invite a ghostly possession into my life, not to mention a grave robbing charge, which could prove difficult to explain to future employers. Past the hillside, a large number of monuments have fallen over or are dangerously close to doing so, several are broken or missing pieces, and all are steadily being consumed by the surrounding wilderness. Dating as far back as 1813 and as late as the early 20th century, the modest headstones represent a range of statuary typical for the period. 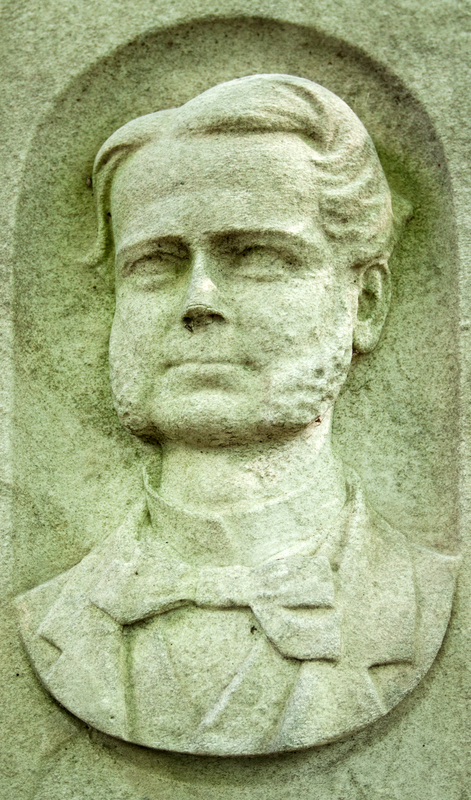 For the most part there’s nothing distinctive about them, with one notable exception—an obelisk etched with the face of a sideburned young man, who seems to be the only one keeping watch over the Old Dutch Cemetery these days. By the looks of him, he strongly disapproves. Limestone facades have crumbled away, exposing the brick construction underneath. 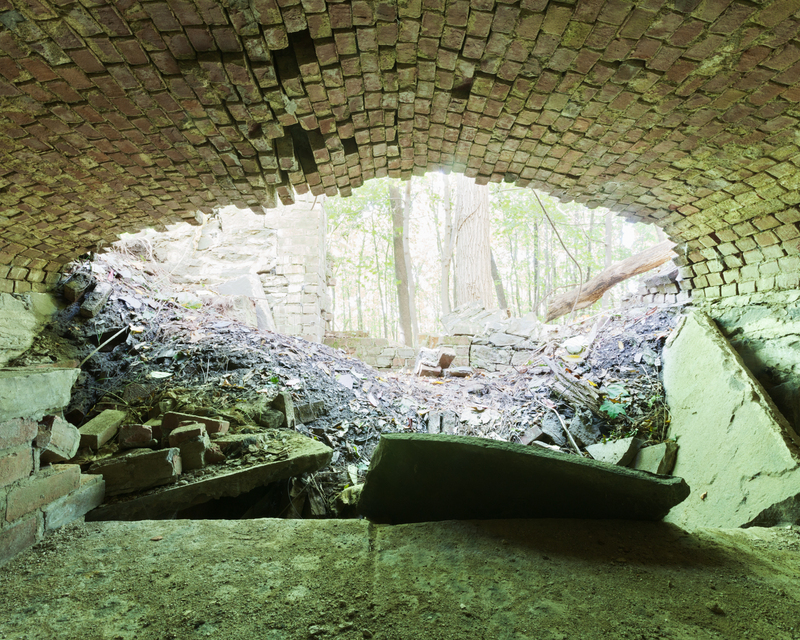 Human remains were removed from the vaults many years ago amid community concern. 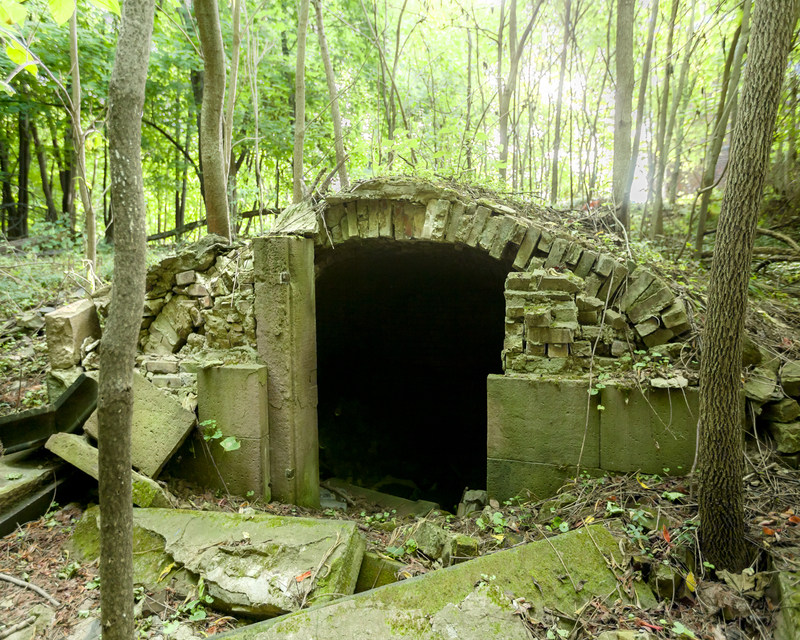 This mausoleum had already begun to cave in on itself. A lounge chair and Christmas ornament (left) were left behind by previous visitors to the largest grave. 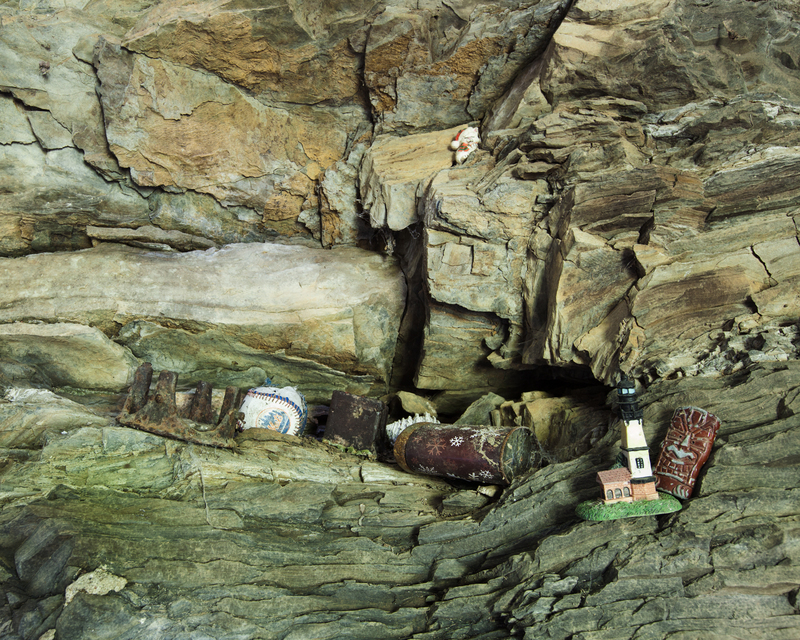 Others have contributed to a collection of knick knacks on the back wall of the tomb. A few of the cemetery’s more photogenic monuments. 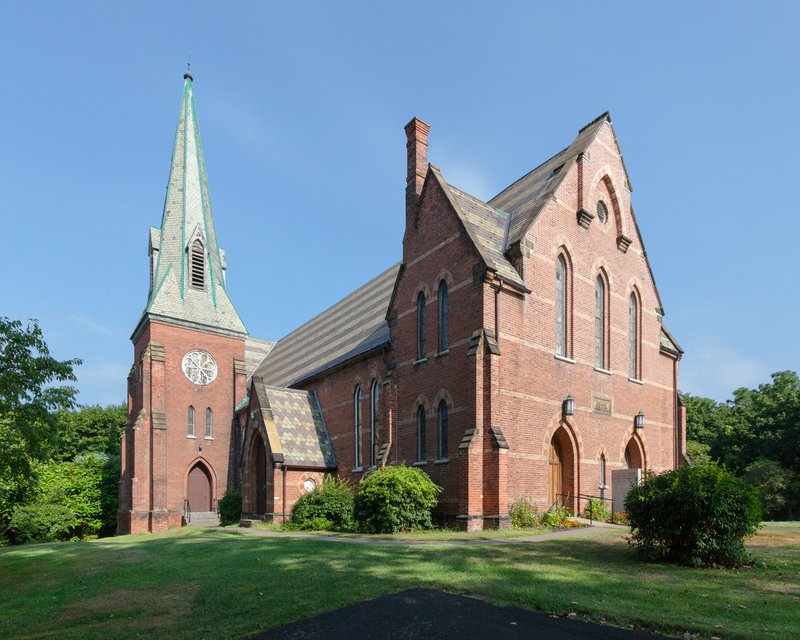 The Church itself, an elegant Victorian Gothic construction rebuilt in 1859, is in excellent condition. Thanks Will, a sad commentary as your excellent photos make clear. As always, your posts are eagerly awaited, as is your forthcoming book! Thanks for being such a reliable commenter, Frank! Thanks for you kind words Will. FYI for everyone, Will’s book Abandoned NYC is available for pre-sale on Amazon…scheduled for release on 2/28/15..wish there were signed copies available! 🙂 That’s right! I’ll be getting together Pre-Orders through the website soon, where you can pick up a signed copy. 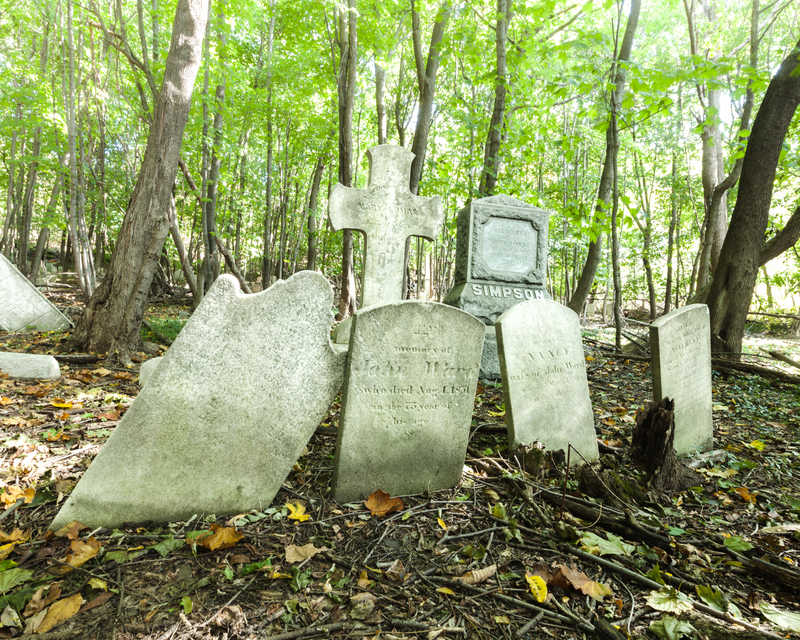 There’s a cemetery with a similar story in Queens. If the church could just get together a couple dozen volunteers for a weekend they could make a ton of progress! I know where this is and have shot here. You got great light! 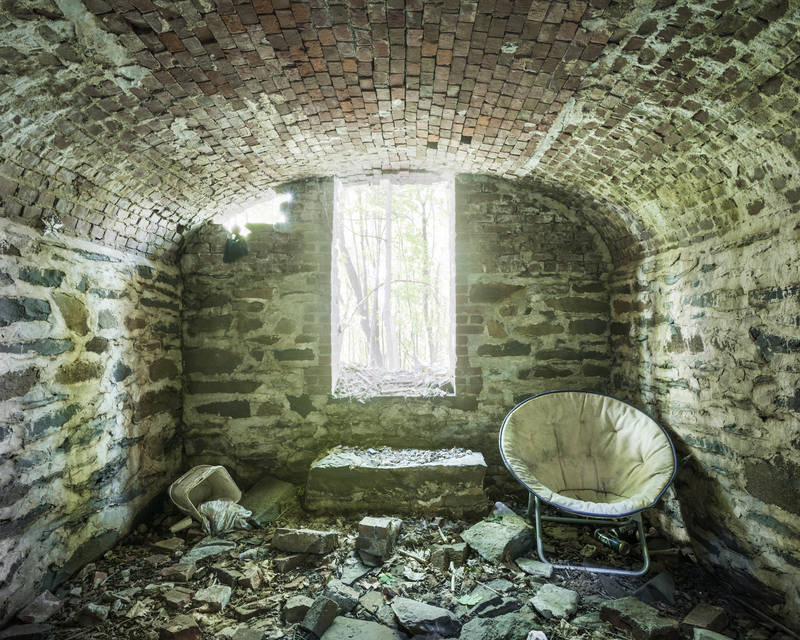 This was a stunning look at a forgotten place. Sadly a place passes into forgotness a generation after it stops being used. A sad comment on our passed loved ones. Shame on that beautiful church for allowing the resting place of its ancestors to fall into such disrepair. I only hope that the old souls that resided there have found peace and respect somewhere else. Thanks for digging up this fascinating story. A few years ago, the place was rather interesting. I picked up your book hoping that I would find the location of this place, as I’d like to see it with my own eyes. Disappointingly, it wasn’t there. It’s in Beacon, NY. On Route 9D, very close to the Metro North station.